Meet kids author Barbara Gibson-Paul tomorrow at our Holiday Boutique Event. 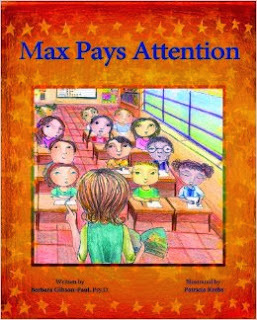 We will be having a book reading of Max Pays Attention at noon. So come and enjoy a story by the author herself. Kids Ahoy Indoor Play Area is located at 20929 Ventura Blvd.#28, Woodland Hills, CA.